After brain surgery, incontinence plagued Marty until she got treatment with Urgent® PC. Successful brain surgery in 2006 left Marty, then 50, with another problem: incontinence due to bladder overactivity. She would wake up from naps only to discover that she had wet herself. She couldn't ride in cars without worrying about ruining the upholstery. She avoided visiting friends because she might stain their couches. Every time she left her house, she worried about embarrassing herself. "I was wearing pull-ups and still making messes," she said. "I couldn't do anything." Sometimes a slight need to urinate would escalate quickly and Marty would rush to the bathroom. Often she wouldn't make it in time. Because of her brain condition, her balance has been affected so she can't walk in a straight line and would sometimes fall. So getting to the bathroom in a hurry was often a dangerous undertaking. Two bladder medications didn't work. A third medication provided some relief, but worsened her existing problem with constipation. "After two years of complaining," Marty said, "my doctor referred me to the bladder control clinic" in her town. 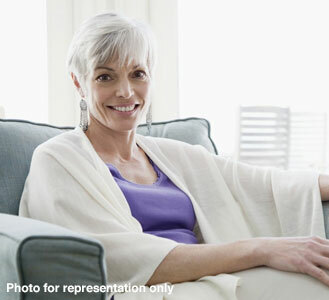 She received weekly Urgent PC treatments in conjunction with bladder medication. Within six weeks, she felt better and was able to stop taking the medication. After six more weekly treatments, Marty now receives a treatment once a month to maintain her results. She's moved from pull-ups to pads. At home, Marty's able to nap worry-free. And when she wakes up, she can get to the bathroom in plenty of time. "I'll always have to go often, but now I have the ability to control it when it comes." Marty gets out more too. She visits friends and family. And, she is able to go shopping when her children go along to help with her balance. "I live a lot better," she said. "My life is a lot more meaningful now that I'm not worried about making messes all the time." Urgent® PC worked for this patient, but not all patients respond the same to treatment. Talk to your doctor to learn more. Urgent PC treats Faecal Incontinence and Overactive Bladder symptoms of urinary urge incontinence urinary urgency, urinary frequency.